On her first official royal appearance in Wales, Catherine Middleton looked tres chic in a cream and brown Chesterfield-style coat topped with a cute little chapeau designed by milliner Viven Sheriff. The handcrafted hat is made of black velvet and feathers embellished with two silver badges. The royals like their hats and so does Kate. Ascot Racecourse is the popular spot for British aristocrats to show off their most extravagant of hats (think My Fair Lady). Kate seems to favor the small cocktail style with feathers, which she appropriately wears just askew on the front of her head. Hats used to be a must for both men and women up until the 1960s when they went out of style. But lately, hats have been making a comeback and now with Kate’s fashion influence it won’t be long before we see hats popping up on streets across the globe. As a hat gal myself, that suits me just fine. Mom in her Mom Uniform saying, "Don't you dare take a picture." My mother was never one to follow the pack. 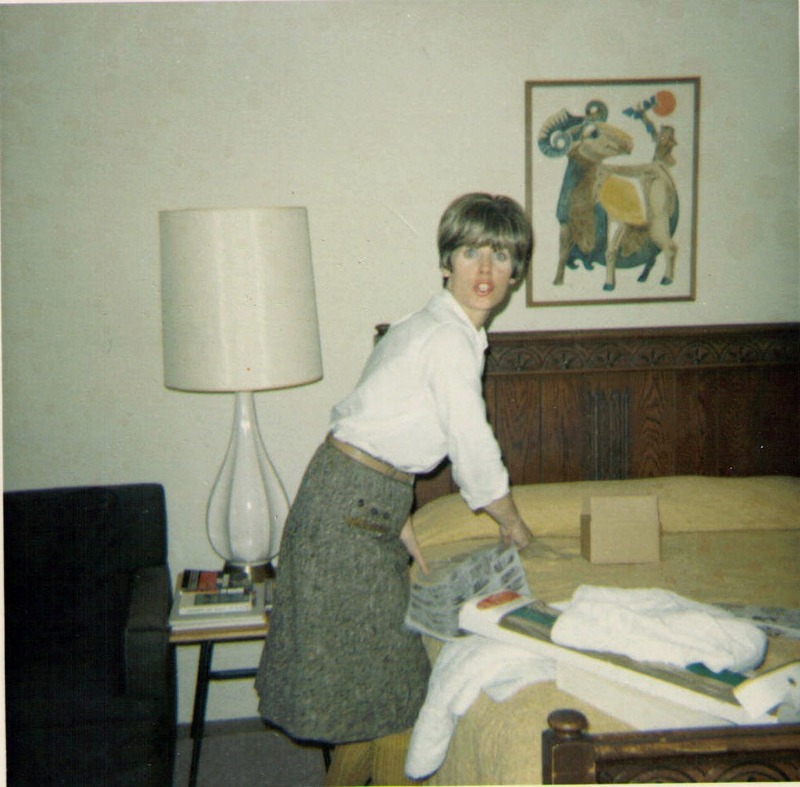 When most moms were sporting Betty Draper dresses my mother’s daily uniform was a tweed skirt, an Oxford shirt and flats with knee high socks. Having grown up with that look, for me now it evokes feelings of peace and comfort. I sport it myself sometimes and thank my mom for her independent sense of style. Today BBC Radio 4 Woman’s Hour discussed the potential influence of the HBO television show Boardwalk Empire on current fashions. Host Jenni Murray spoke with vintage shop owner Annie Moss and professor of fashion history Caroline Cox. 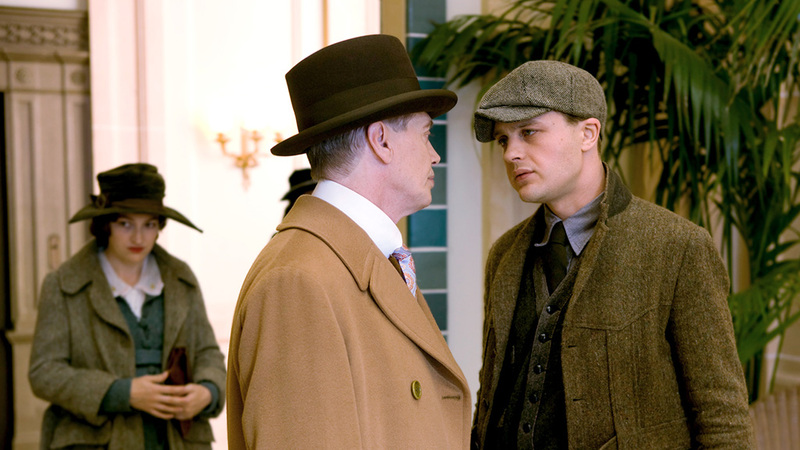 Boardwalk Empire is a period drama set in prohibition 1920s Atlantic City. A recent addition to the HBO lineup and a big hit with viewers, it’s still a bit early to know what, if any, influence it will have on fashion. But for men it’s a different story. Both Cox and Moss agree that there is plenty of style to be found on the male characters, from the tweedy working-man look to the french cuff wealthy-man look. (Either way it’s a step-up from the way men dress today, so let’s hope it rubs off.) Moss further comments that women also may emulate the men’s fashions, which would include more tailored silhouettes in slacks, suits, and hats. I haven’t seen the show myself, but I do hope, if nothing else, it inspires both men and women to ditch the daily jeans and try something old. Back in the day, even poor people made an effort to look nice and appropriate. You didn’t see shorts in church and jeans at the office.